The JAL Flight, accommodation 3 *, 4 tours, 8 breakfasts, 4 lunches, 1 dinner, visa, insurance. A unique group tour of Japan at cherry blossoms. Join now! 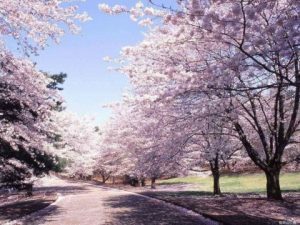 Enjoy the splendor of sakura, leisurely strolling through the streets of Tokyo and Kamakura, as well as in parks Hakone and Nikko. 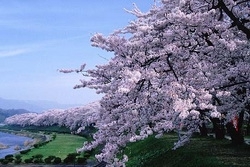 Tours during the cherry blossom in Japan – is an unforgettable sight, which is obliged to see everyone! 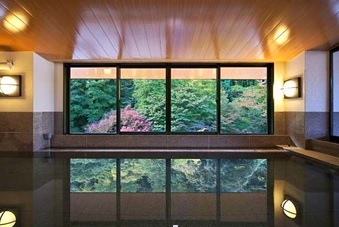 – Overnight stay in a traditional ryokan with a hot spring, which is located in Japan’s national park “Fuji Hakone Izu”. It is here that you will be able to fully experience all the delights of Japanese hospitality. 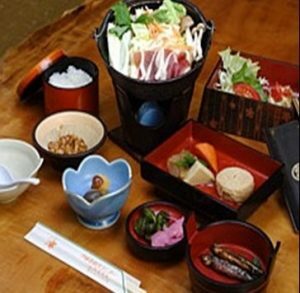 – The unique menu during excursions – every day you can taste a new dish of traditional Japanese cuisine – from the well-known sushi to gourmet kaiseki ryori. 17:15 – Departure from Moscow (Domodedovo) in Tokyo, JL-422 flight ( the Boeing 787 the Dreamliner ) airline JAL, night on the plane. 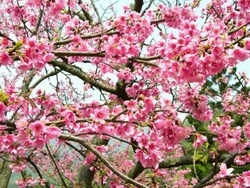 This year, you have a unique opportunity to take part in the tour in Japan during the cherry blossom. Participation in the group round will add variety during your stay in Japan. Treat yourself to a unique journey into the country during one of the most beautiful seasons! Day 1 of the tour. Japan during the cherry blossom – this is a very fascinating spectacle ! 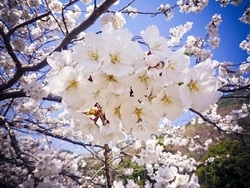 In late March, early April in Japan comes the most beautiful time to visit this distant country. An interesting sightseeing tour to Japan at this time takes on a special charm. 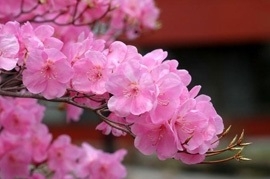 The whole country becomes a snow-pink color, at this time begins to blossom the famous Japanese cherry – cherry. And all the churches and skyscrapers of the country in the frame of pink trees are particularly beautiful! 8:35 – Arrival at the International a / p Narita in Tokyo. Passport control. 9:00 – Meeting with the guide in the arrivals area near the plate, “Magic Tour”. At the airport parking lot you will find a comfortable bus that takes you to the center of Tokyo. 11:00 – The Imperial Palace ( photo stop near the palace ). A quarter of a millennium over Japan flags of the Tokugawa clan. Center of his possessions was a small fishing village of Edo. Here in the 15th century Tokugawa Ieyasu built the castle, currently in force. It is surrounded by the moat and well-fortified walls around the palace is a beautiful Garden – Higashi Gyoen and Kitanomaru. 12:30 – Asakusa District (ticket – free) . One of the areas in Tokyo, where he lives the atmosphere of the past decades. 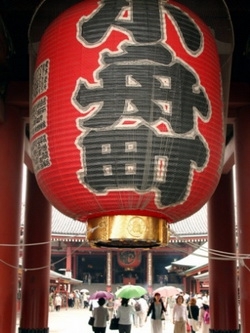 For centuries, Asakusa was the leading entertainment district of the city. There is always noisy, crowded and festive, at any time of the year. The narrow streets are many restaurants, shops, playgrounds and parks. Asakusa Kanon Temple (entrance fee – free) . The temple, which has come to ask the legendary Ieyasu favor of the gods before the decisive battle of Sekigahara. If you have to solve a fight in my life – take a moment to visit this temple! Trade street Nakamise-dori (ticket – free) . Shopping street, stretching for 200 meters, leads from the outer gate of the temple. Here you can buy Japanese souvenirs, such as yukata and folding fans, and try a variety of traditional local snacks. Shopping street has a history of several centuries. 13:00 – Lunch in the restaurant (Japanese cuisine) . 14:30 – Edo-Tokyo Museum (entrance fee – 600 yap.yen). Museum dedicated to the history of the city of Edo, which was renamed the Meiji era in Tokyo.The design of the museum building resembles an old warehouse, its height is 62.2 meters, which coincides with the height of the ancient castle of Edo. The museum presents the history of the city from the very moment of its foundation in 1590, Shogun Tokugawa Ieyasu to the present day. 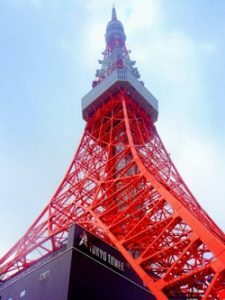 17:00 – Tokyo Tower (entrance fee – 900 yap.yen) . Tokyo Tower is 13 meters higher than its model, the Eiffel Tower in Paris, and is the tallest self-supporting tower of steel in the world. Construction of the tower was completed in 1958 and was a symbol of the revival of Japan as a major economic power. Visitors can climb to the observation deck at a height of 150 meters, where in good weather you can see g.Fudzhi. 19:00 – Accommodation in a hotel in Tokyo. 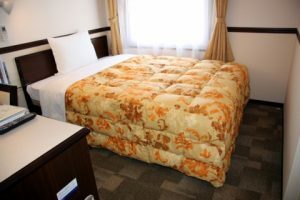 * Overnight at hotel in Tokyo 3 star “of Toyoko Inn of Tokyo Shinagawa-eki Konan-guchi Tennozu” . Day 2 of the tour: Hours guide and custom bus from 09: 00-19: 00. 7:00 – Breakfast at the hotel. 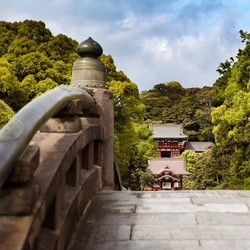 9:00 – In the morning in the lobby of the hotel will meet you and guide you on a tour of the city of Kamakura! 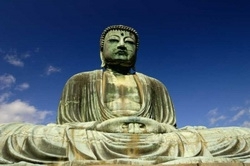 10:00 – Statue Daybudu – Great Buddha (admission fee – 200 yen Jap. ). This statue of Buddha – the second largest in Japan (the first is located in Nara). 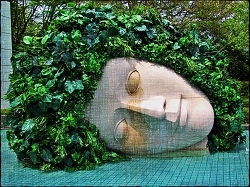 The height of the statue – 11.4 m, weight – 93 tons. Buddha sitting under the open sky, green hills create a beautiful backdrop. The statue was cast in 1252 The statue was probably made It Gorёmonom or Tansi Hisatomo, leading Japanese bronze sculptors of the time. At a certain period of time the statue was gilded. Until now, there are still traces of gilding the statue’s ears. 11:00 – Temple Hase-dera (admission fee – 300 yen Jap. ). 14:00 – X frames Hatimangu (ticket – free of charge) . The Temple is an important shrine Hatimangu Kamakura. It was founded in 1063 by representatives of the Minamoto family. The temple dedicated to the god of war, as well as the memory of the legendary Emperor Ōjin Hachiman. There Yoritomo soldiers practiced yabusame – archery from his horse. In order to enter the temple need to go to the waterfront through the center of the city on a long, wide passage with several gates on the Tory way. The main dining room is on the terrace at the top of the wide staircase. In the main hall are the temple and a museum where relics are stored, such as swords, masks and documents. 15:00 – Departure to Yokohama. Yokohama – metropolis, Japan’s largest port, be prepared for the fact that the reality will exceed your wildest expectations. 16:00 – Tower Landmark Tower (entrance ticket – 1000 yen Jap.) . The highest building in Yokohama, and the third highest building in Japan. The height of the building -. 296.3 m The building was completed in 1993. 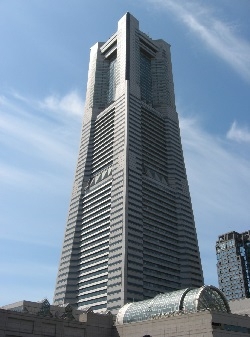 On the skyscraper is the highest viewing platform in the country. 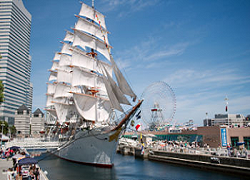 17:00 – Port of the Future Minato Mirai (ticket – free) . The most famous area of “Minato Mirai” is located in the central part of Yokohama in Japanese means “port of the future.” Here are the high-rise office buildings, luxury hotels, shopping malls, restaurants, meeting rooms, exhibition halls. 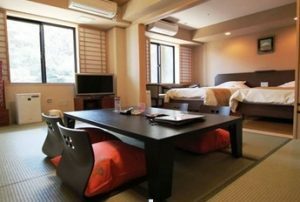 * Night at the hotel in Tokyo 3 star “of Toyoko Inn of Tokyo Shinagawa-eki Konan-guchi Tennozu” . Day 3 of the tour: Hours guide and custom bus from 09: 00-19: 00. 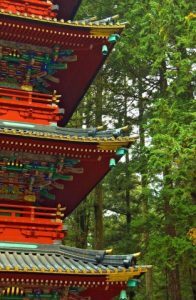 8:30 – In the morning in the lobby of the hotel You will guide and continuation of the tour – a tour on a comfortable bus in Nikko! Do not say “Great!” Until you see Nikko! – So say the Japanese. We offer you a fascinating tour of the Nikko National Park – one of the most beautiful places in Japan, renowned for its beauty and historical monuments. This fairy-tale world of mountain lakes and waterfalls. 12:00 – Sanctuary Tosegu (ticket – yap.yen 1300). The Sanctuary is the resting place of the great commander and statesman, Shogun Ieyasu Tokugawa (1543-1616 g), managed at the turn of the XVII century, not only to seize the supreme power in Japan, but also to put an end to the bloody strife are depleted. The best artists and artisans were collected from across the country to work on the sanctuary. 14:00 – Kegon Falls (entrance fee – 550 yap.yen). The waterfall is located on Dayyagava river, which flows from the eastern part of the mountain lake Tyudzen-ji. Once the riverbed was partitioned lava flows awakened volcano, and now it falls from a height of 97 m, barely leaving the confines of the lake. Kegon one of the three most beautiful waterfalls in Japan. 18:30 – Return to the hotel in Tokyo. Day 4 of the tour: Hours guide and custom bus from 08: 30-18: 30. 7:00 – Breakfast at the hotel . An extract from the hotel. 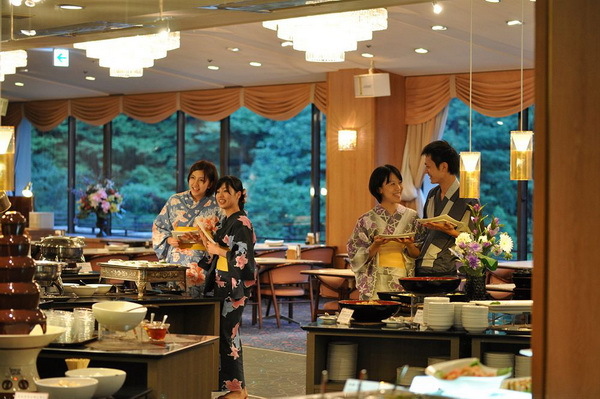 8:30 – In the hotel lobby you will find a guide and a trip to Hakone on a comfortable bus! 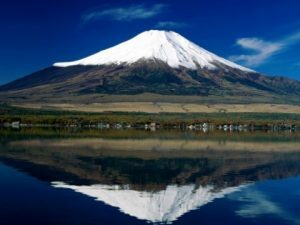 National Park “Fuji-Hakone-Izu National Park” is Japan’s main attraction. Mount Fuji, hot springs, volcanic island with tropical vegetation, the famous Fuji Five Lakes. 10:30 – “Temple Devyatigolovogo Dragon” (ticket – free) . Also known as Kuzuryu-Jingu is located in the territory of the temple complex Hakone. According to legend, a sanctuary dedicated to the dragon, who once lived in the waters of Lake Ashi. To save the local residents, the chief monk, ordered the construction of the stupa in the river, which turned into a dragon deity ryūjin – defender Hakone temple. 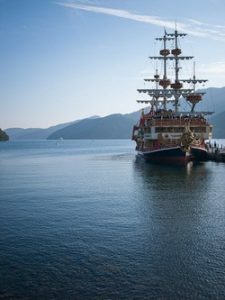 12:00 – Cruise on Lake Ashi (ticket – yap.yen 3250) . Located in the Japanese national park, Lake Ashi is one of the main attractions of the area. In its waters is reflected Mt. Fuji framed pattern of slender pine trees, you can admire the beautiful scenery while cruising on this “piece of paradise” in the mountains. 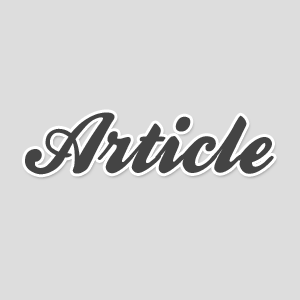 13:00 – Lunch in a restaurant (European and oriental cuisine). 14:00 – Open Air Museum (admission ticket – yap.yen 1600). Open-Air Museum Hakone conveys a harmonious blend of wild and artificial creations – natural beauty and art in its various manifestations. The museum park are waiting for you interactive installation, abstract sculptures, as well as a gallery with works by Pablo Picasso. Not to mention the fantastic forms of the hills and mountains of Hakone! 15:30 – Check-in ryokan 5 stars “Tenseien” . Caution ! Accommodation in rekane possible only in double rooms. After the tour you will have free time to relax. 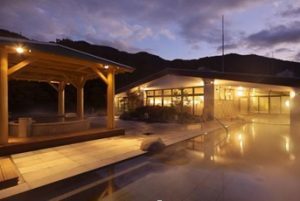 You can enjoy a wide range of hot springs in a wide variety presented in this rekane, leisurely stroll through the large area of the hotel complex, enjoying the fresh air, unforgettable scenery and feel the true Japanese peace. Also you will be able to book a massage for an additional fee or other spa services. 19:00 – Dinner at rekane. 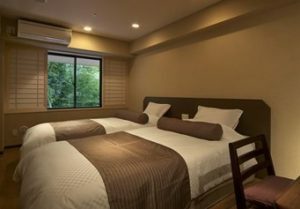 * Ryokan is – hotel in traditional Japanese style , with traditional interior elements like the floor mat , bed – a futon, there are often in such hotels Hot Springs . 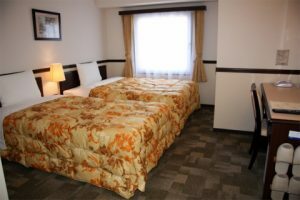 This hotel used olshe than just a place to sleep in rekane you have the opportunity to experience a traditional Japanese lifestyle and Japanese hospitality . * Overnight in Hakone rekane 5 stars “Tenseien” . Day 5 Tour: Hours guide and custom bus from 08: 30-15: 30. 7:00 – Breakfast at the hotel. * Free Day! Possible excursion to the city of Fuji surcharge. Tour operator Magic tour will help you to choose an interesting entertainment program. 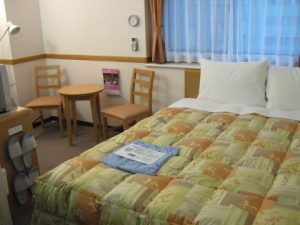 * Overnight stay at 3 stars “of Toyoko Inn of Tokyo Shinagawa-eki Konan-guchi Tennozu” . Day 6 – Day 9 tour. 7:00 – Breakfast at the hotel. Extract from the hotel. 7:30 – At the airport you spends your guide. 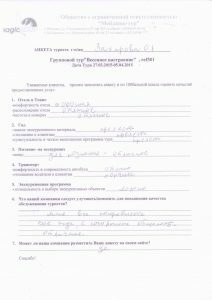 9:00 – Registration for flight JL 421( the Boeing 787 the Dreamliner ) in Russia. 10:45 – Flight to Russia. 16:00 – Arrival in Moscow (Domodedovo). Day 10 of the tour: Hours guide and custom bus from 07: 30-10: 00. Additional charges: tickets for excursions. 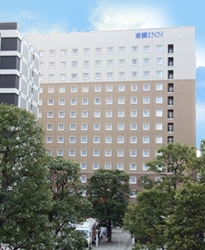 Hotel «Toyoko Inn Tokyo Shinagawa-eki Konan -guchi Tennozu» opened in 2012. It is a modern and comfortable hotel is located in close proximity to the largest w / d Cinagava station. Guests will appreciate the comfort and hospitality of this hotel, which is ideal for tour groups. Extract from the hotel: 10:00. Offering hotel guests massage services, postal services, laundry services, sending or receiving a fax, trouser press on each floor, a paid service “Video on Demand”, a microwave in the common area. The hotel is located 5 minutes walk from Tennozu Isle Station Line Rinkai line & Monorail line. Free shuttle bus from JR Shinagawa Station. On the ground floor is a cafe, where the breakfast. 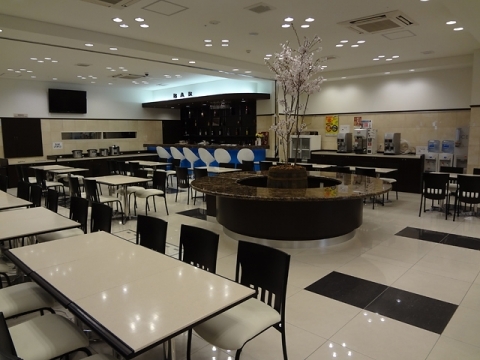 The accommodation on the ground floor serves a light breakfast in the Japanese style. 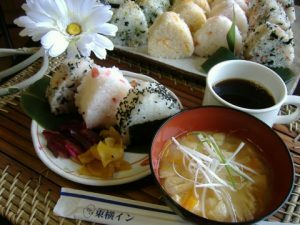 It offers: a variety of onigiri, light salads, miso soup, sausage, biscuits, tea, coffee, juice. Bed width – 140 cm. Air conditioning, TV, telephone, refrigerator, safe, free WI-FI in the room. Tea set, rubbed. Shower, toilet, bidet;toiletries (bath towel, towel for the feet, a toothbrush, toothpaste, shampoo, hair conditioner, soap), hair dryer, comb, pajamas. Standard double room with two separate beds. The width of the beds – 2 beds on 92 cm. Standard Double Room with a family bed. The width of the beds – 1 bed 160 cm wide. Ryokan “Hakone Tenseien Hotel” Hakone. 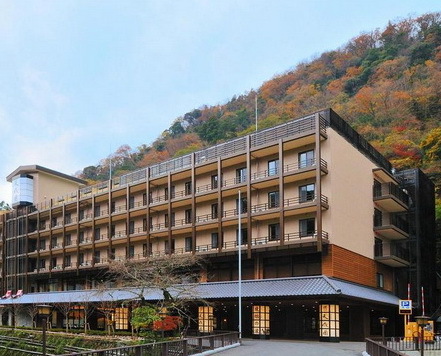 « Hakone Tenseien Hotel » is an ideal place for rest and relaxation. Here everything is made for this. Great choice Onsen open-air and indoor spa treatments of any kinds. Choosing a yukata robe, relaxing in the hot springs, wander through a large park area of the hotel, you will feel the tradition and spirit of the present Japan. You will be pleasantly surprised by the local hospitality and relaxation you long to be remembered. It offers: Vending Machine (drinks), round the clock front desk, luggage storage, a meeting room / banquet hall, gift shop, sauna, spa and wellness center, massage, hot tub, onsen, karaoke, garden. Address : 682 Yumoto, Hakone-machi, Ashigara- shimogun, Hakone Yumoto, Hakone, Japan 250-0311. Bath with hot springs in the room. Bath with hot springs in the open air. European cuisine , it varies markedly depending on the country, common to European cuisine is an abundance of meat and vegetable dishes, as well as the secondary role of different seasonings and sauces. Tempura – Japanese cuisine. 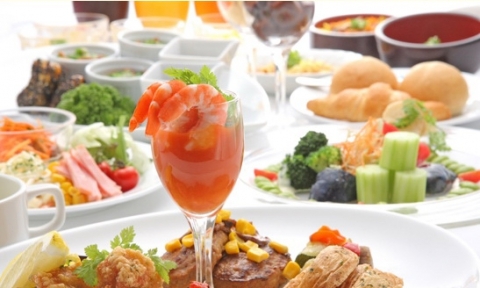 Different preference for natural, minimally processed foods, the widespread use of seafood, seasonal, typical dishes, specific rules of registration of dishes, serving, table manners. Nabe is a pot boiling in the middle of the table. To the table tray dish full of raw foods, together engaged in cooking and then eat nabemono of the common pot. Prepare most fish, seafood, chicken, meat, and, in addition, usually vegetables. 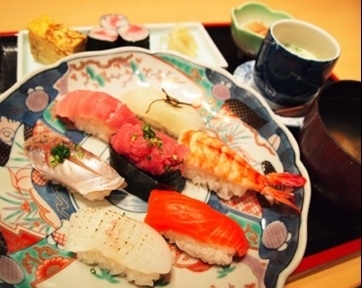 Sushi – a dish of traditional Japanese food made from rice and various seafood and other ingredients. Since the beginning of 1980 the land became widely popular in the world. 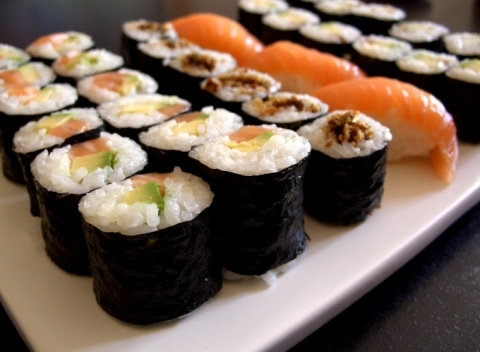 two versions of the names of dishes found in dictionaries – “sushi” and “sushi”. Most popular “Sushi” option can be explained by the fact that the fashion for this dish came to Russia from the West, not from Japan. Japanese – Japanese cuisine is distinguished preference for natural, minimally processed foods, the widespread use of seafood, seasonal, typical dishes, specific rules of registration of dishes, serving, table manners. 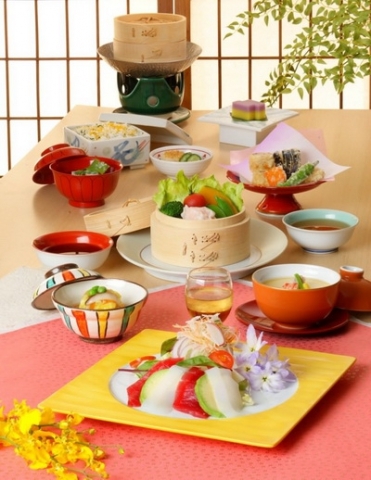 Japanese cuisine is, as a rule, are a key attraction for tourists from other countries. 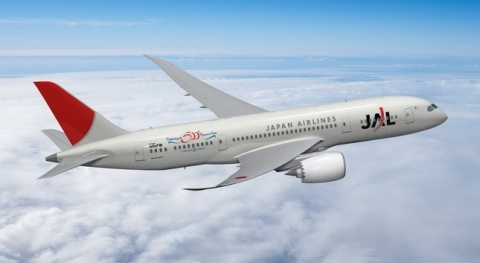 The JAL – Japan Airlines’ – a Japanese airline, Asia’s largest carrier. The airline was founded in 1951. The base airport in Tokyo – Narita (all international flights the airline JAL performs at Narita Airport Terminal 2). The Moscow based in Domodedovo International Airport. International IATA code: JL, ICAO code: JAL. From 1 April 2007 the airline JAL is a member of airline alliance OneWorld. Air JAL airline fleet consists of 271 modern aircraft: Boeing 747-400, Boeing 747-400F (including Boeing 747-400BCF), Boeing 747-200 / 300, Boeing 747-200F, Boeing 767-200, Boeing 767-300, Boeing 767 -300ER, Boeing 767-300F, Boeing 777-200, Boeing 777-200ER, Boeing 777-300, Boeing 777-300ER, Boeing 737-400, Boeing 737-800, Boeing 787 Dreamliner, Airbus 300-600R, McDonnell Douglas MD -90, McDonnell Douglas MD-87, McDonnell Douglas MD-81, Download DHC-8-Q400, SAAB340, CRJ200, Britten-Norman BN-2B, Download DHC-8-Q300, Download DHC-8-Q100. 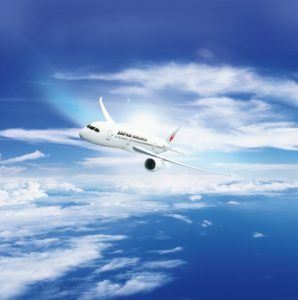 JAL airline operate flights in five continents, 34 countries and 216 airports; 60 of them – the Japanese city. 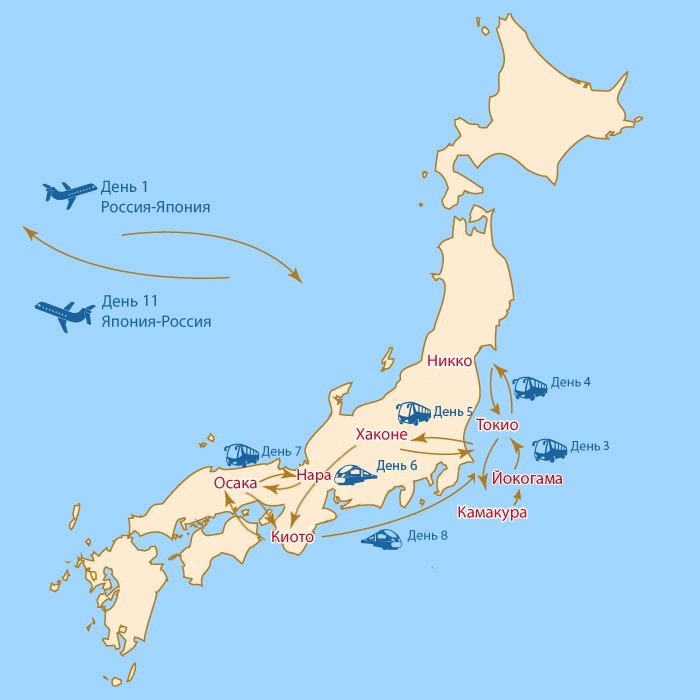 Route map to JAL Japan Airlines airline website . Regular flights are carried out in Russia since 1967. 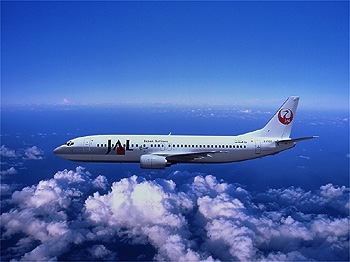 Airline JAL offers passengers flights in economy class, premium economy class, business class and first class. On flights from Moscow airline offers flights to the economic, premium economy and business class. Personal video screen built into the back of the forward seat. A wide selection of movies, games and music in one of the 130 channels of entertainment system with the function of the audio and video on demand. Passengers are offered newspapers and magazines; stationery and postcards. During the flight – snacks and a wide selection of alcoholic and non-alcoholic drinks from the bar. On the route Moscow – Tokyo for premium economy class on board aircraft provided with a separate lounge with 40 seats (eight in a row, 2-4-2 configuration), equipped with the latest armchairs JAL Sky Shell Seat, the distance between them increased by 20% compared to standard interior seating in economy class. There is a foot rest and adjustable headrests. Each chair is a power outlet for your phone or music player, pull-out table which can accommodate a full-sized laptop. Individual 9-inch video screen with the function of the audio and video on demand. The passengers may select the movies, games, videos and music at any of the 130 channels. In Domodedovo airport runs a separate reception and priority baggage service. Available waiting room business class, where a free buffet, Internet access services of passengers and other opportunities for work and leisure. At Narita airport, passengers enjoy private reception Premium Economy, and after passing customs and passport formalities can relax in the hall for business-class passengers Sakura lounge. In addition to the regular menu, economy class passengers at any time snacks are available, including specialty noodles and ice cream. 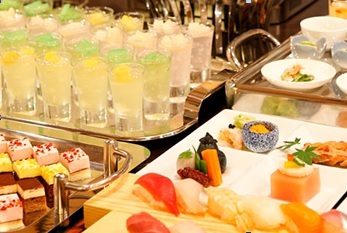 The bar – selection of fine wines, beers, soft drinks, as well as traditional Japanese vodka. Passengers premium economy class, as well as Business Class passengers are offered personal kits, which include eye mask, earplugs, toothbrush, moisturizing mask, slippers, blanket and pillow. A large selection of newspapers and magazines. On routes to Europe (including Moscow), North America, and in some areas of Asia and Australia, the services of travel Business Class Shell Flat Seat chair. Wide seats have the ability to transform into full-fledged beds. Previously, this level of service was available only to first-class passengers. In each row of the business class cabin seven JAL Shell Flat seat. Personal monitor 130 channels with new films, a variety of games and music. Feature audio and video on demand. A separate waiting room business class at the Domodedovo airport, as well as lounges Sakura lounge in Tokyo and Osaka airports. Klas business passengers can choose their seat in at the stage of reservation and have priority in baggage service. During the flight, passengers are offered a hairdryer, slippers, bathrobe; newspapers, magazines and stationery; Battery Laptop rental; guides airline JAL, headphones with active noise cancellation system. Business class passengers are offered dishes of Japanese and European cuisine. Large selection of free soft drinks and alcoholic drinks, including this Japanese plum wine and rice vodka. During the flight snacks available. JAL Airline baggage system applies for the number of pieces (piece concept). 2 Masta baggage, each weighing no more than 23 kg – economy class. The sum of the three measurements of each site should not exceed 203 cm. Children under 2 years with a ticket without a seat are entitled to one piece of luggage transportation. Its weight should not exceed 23 kg, if the accompanying adult flies economy class and 32 kg if the accompanying adult is flying business class or first class. 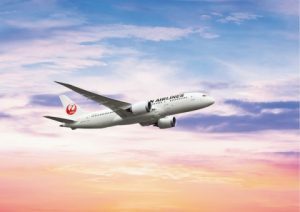 For airline frequent flyer loyalty program offers JAL JAL Mileage Bank. Ryokan "Yume kai yu Awajishima", about. Awajishima.